A Media Matters review of appearances by elected Republican officials on Univision and Telemundo in both 2014, before Trump launched his political campaign, and 2017 confirmed Acevedo’s observation. 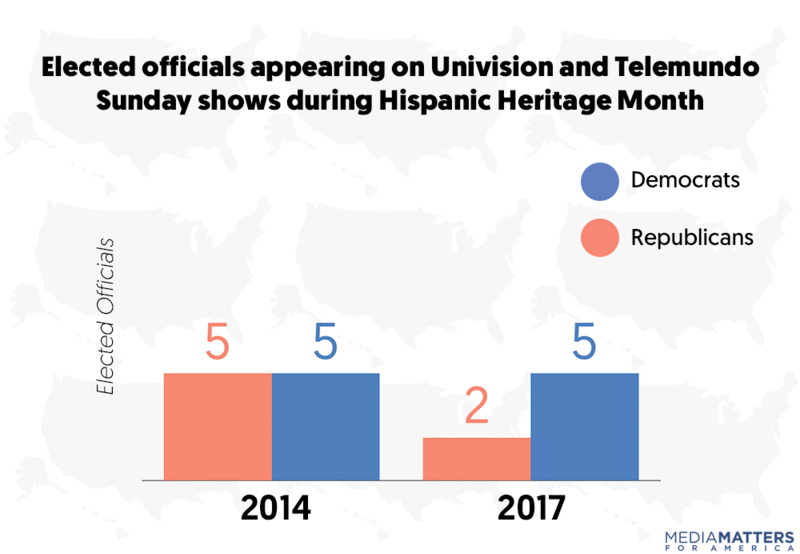 During Hispanic Heritage Month 2014, an equal amount of elected Republican officials and elected Democratic officials appeared as guests on Telemundo and Univision’s Sunday news shows. During that same time period in 2017, only two Republicans appeared on the Sunday shows compared to five Democrats. Republicans’ aversion to Spanish-language outlets seems to echo Trump’s attitude toward the networks. As a candidate, Trump denied press credentials to Univision, Telemundo and La Opinion, blacklisted prominent Hispanic journalists, including José Díaz-Balart and Jorge Ramos, and declined an invitation to address the joint convention of the National Association of Black Journalists and the National Association of Hispanic Journalists. 3. Telemundo launched a campaign to empower Latinos to improve their lives. 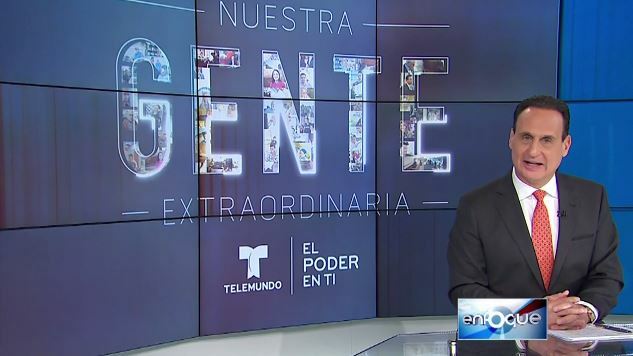 In February, Telemundo launched “El Poder En Ti,” -- which translates into “The Power Within You,” -- a campaign designed to empower Latinos and encourage them to take initiative to improve their lives and the lives of others. Influential news shows such as Enfoque and Al Rojo Vivo presented profiles of Latino immigrants and nonimmigrants who have made positive impacts on their communities. The shows’ depictions of Latinos as role models, community activists, politicians, innovators, media executives, and philanthropists contrasted with the way that Trump and his media allies typically depict Latinos. In one segment of “Nuestra Gente Extraordinaria” -- which translates into “Our extraordinary people” -- on Enfoque, which was part of the “El Poder en Ti” campaign, National Hispanic Media Coalition’s Alex Nogales recognized this discrepancy, explaining that immigrants are “judges, police officers, lawyers, dentists,” and more, but “media outlets that broadcasted in English treated our community … as if we were all criminals.” This trend is also borne out in right-wing media. As the president continues to disparage Latino immigrants, he counts on his media allies to vindicate his painting them as criminals. Media Matters skimmed Univision’s Al Punto and Telemundo’s Enfoque during Hispanic Heritage Month of 2014 (September 14, 2014 to October 12, 2014) and Hispanic Heritage Month of 2017 (September 10, 2017 to October 8, 2017) and coded for each guest. The party affiliations of guests who were elected officials still in office during the time that the show aired were also coded. Any person who gave unique commentary to the given networks was coded as a guest. Ten immigrants were killed and many others hospitalized after human traffickers promising to smuggle them into the United States failed to provide them with adequate ventilation or water for the journey. Conservative media figures have responded to the tragedy with calls for stricter immigration laws -- in particular, stricter border enforcement policies and anti-sanctuary city laws -- that experts have said would serve only to exacerbate the problem by diverting immigrants to more dangerous routes and empowering human traffickers without addressing the root causes of immigration. On Telemundo’s Sunday news show, José Díaz-Balart demonstrated how the host of a news program can allow misinformation to take root and fester by failing to correct misinformation about immigration detentions. JOSÉ DÍAZ-BALART (HOST): Alfonso, is this a wise policy on the part of President [Donald] Trump’s administration? ALFONSO AGUILAR: Look, I think so. What has happened is that this debate has become highly politicized. There is no standard definition for what is a sanctuary city. It is not a technical term. There are different cities that treat undocumented immigrants in a different way. There are cities that give some local benefits to undocumented immigrants. This is not what the Trump administration is focused on. What the Trump administration wants -- and it’s something basic, I don’t understand why someone could be opposed to this -- is that the local authorities, if they arrest an undocumented immigrant who has a criminal record or is involved in serious criminal activity, they refer them to federal authorities to be removed. JORGE SILVA: Let’s remind the viewers that, in this moment, an undocumented immigrant who has been sentenced for a crime is immediately referred to the deportation agencies, to the federal immigration agencies. AGUILAR: That is simply not true. You are alarming the community unnecessarily. This is not what is happening. What they want to address are situations like that of Kate Steinle in San Francisco, a woman who was murdered by an undocumented immigrant who had a serious criminal record. Here there is not a mass deportation, here they are not seeking to deport people who are do not have criminal records. Please stop scaring our community. SILVA: In this moment, we have seen that ICE is arresting people without criminal records. And you can’t lie to me, Alfonso, please. You have seen it. AGUILAR: I am not lying. SILVA: They are arresting and deporting people without criminal records. AGUILAR: But it’s not the vast majority. It is a minority and this also happened under the Obama administration. SILVA: In the Obama administration, there was a prioritization for people who had violent criminal records. Aguilar’s assertion that ICE is not notified when an undocumented immigrant is arrested is false. According to The Washington Post, when a person is arrested, local authorities send his or her fingerprints “to the FBI, which sends the inmates’ information to Immigration and Customs Enforcement.” ICE may then issue a detainer request for local authorities to hold the person in custody for 48 hours. In many “sanctuary” jurisdictions, local authorities do not honor the 48-hour detainer request due to Fourth Amendment concerns. Sanctuary cities typically honor detainer requests for violent criminals but neglect to hold people past their sentences if they do not pose a threat to public safety. Aguilar’s false equivalency between Trump’s and Obama’s immigration policies also is not consistent with facts. Border patrol and ICE agents are “newly emboldened” to detain all undocumented immigrants under Trump, whereas they were required to “concentrate on deporting gang members and other violent and serious criminals” under Obama. Lies about sanctuary cities and immigration in general run rampant in the right-wing media echo chamber, but they can easily spread to mainstream media when hosts fail to push back on right-wing myths. Telemundo Guest Explains How Ford's Latest Move In Mexico Shows Trump "Deceived His Electorate"
Blog ››› November 14, 2016 2:17 PM EST ››› CRISTINA LóPEZ G.
President-elect Donald Trump is considering Laura Ingraham, a Fox News contributor and conservative radio talk show host, as a possible choice for White House press secretary. If he picks her, it would be Ingraham’s job to brief the White House press corps on behalf of the Trump administration, and the attacks she’s launched against Hispanic journalists and Spanish-language media would make the White House briefing room a very hostile place for Hispanic journalists. On November 13, The Hill reported that Ingraham was “under serious consideration” to be the press secretary of Trump’s White House, an indication that the contempt Trump showed for the press during his campaign will percolate into his administration, since Ingraham has her own history of railing against journalists whose reporting she doesn’t agree with. During her crusade against “biased,” “post-American” journalism, Ingraham has singled out Hispanic media specifically, taking offense that Telemundo and Univision are “Hispanic-centric” networks which “revile the American experience” and have a “toxic” impact. The networks are extremely valuable for many Spanish-speakers who rely on them to better “navigate America,” but Ingraham has accused them of “teaching illegals how to avoid deportation” and of preventing people from learning English. Ingraham has also taken issue with Hispanic journalists merely for speaking Spanish, once criticizing Telemundo anchor José Díaz-Balart for translating for a Spanish-speaking guest and mocking his accent by saying it was “so herky-jerky.” Ingraham has been critical of multilingualism in the United States, extending her mockery on Twitter to Sen. Tim Kaine (D-VA) for his command of Spanish and criticizing retail workers who speak English with an accent, saying, “You can’t understand them. Sometimes you think you’re in a foreign country.” Any member of the press corp who sounds similar could be subjected to the same level of mockery and disdain from a press secretary Ingraham. Covering the Trump campaign was especially challenging for Hispanic media, since the president-elect showed particular animosity toward the main Spanish-language networks and consistently ignored requests from Spanish-language print outlets seeking access -- an approach in line with his “English-only” strategy of seeking electoral victory by courting primarily white voters. Picking Ingraham as press secretary would demonstrate that Trump has little interest in diverging from this campaign strategy while governing. Blog ››› October 13, 2016 4:49 PM EDT ››› CRISTINA LóPEZ G.
Republican presidential nominee Donald Trump broke his silence of over a year with Spanish-language media by talking in Florida to Telemundo51’s Marilys Llanos. However, Llanos failed to press Trump on issues that concern Spanish-language audiences, including allegations that he violated the U.S. embargo against Cuba and his record of disrespecting women, which includes allegations of sexual assault. The friendly interview was conducted in English while Llanos dubbed his answers in a Spanish-language voiceover and included color commentary like, "The interview took place on board of the candidate’s plane, valued at $100 million.” Llanos asked Trump about his tweet promising to reverse President Obama’s executive order aimed at normalizing U.S. relations with Cuba, and he responded by stating that he knows many Cubans because “as you know, I own Doral,” a municipality in Miami-Dade County, FL, where Trump has real estate investments. In this line of questioning, Llanos failed to ask the candidate about a Newsweek report that a company controlled by Trump could have violated the U.S. embargo against Cuba. Despite asking Trump how he planned to win the female vote, Llanos gave him a pass by letting him posit that the reason he would do well with women is because “more than 50 percent” of the people turning out to his Florida rallies were women. Llanos did not press the candidate on a 2005 video that surfaced recently in which Trump brags about being able to “do whatever” he wants to women because he’s “a star.” The most recent allegations against Trump, the accusations of two women who came forward to accuse him of sexual assault published by The New York Times, had not been revealed at the time of the interview. Trump hadn’t done an interview with Spanish-language news shows since sitting down with Telemundo’s José Díaz-Balart in June 2015. After being confronted for his disparaging comments about Mexican immigrants, Trump had been actively ignoring repeated requests to sit with any of the networks, specifically Telemundo and Univision. In response to repeat requests for an interview from Univision's Jorge Ramos, Trump published the anchor’s personal information and mailed him a request for a campaign donation. It's not just Spanish-language media Trump has ignored; amid a storm of bad press, the candidate has sought refuge with friendly media -- like the Fox News bubble -- and softball interviewers, avoiding networks where he might get hard-hitting questions. But his dismissal of Spanish-language media has been particularly extreme, and after being ignored for so long, their audiences deserve better than sycophantic interviews. Latinos in the media are criticizing the lack of questions in the first and second presidential debates about what was expected to be an “issue of contention”: immigration. Latino journalists have pointed out that opposition to immigration has “been a centerpiece of Donald Trump’s blustery campaign for more than a year,” yet moderators have not asked “one specific question” about the issue. Donald Trump hasn’t done an interview with a Spanish language news network in 14 months, magnifying a dangerous rift between the Republican Party and networks like Univision and Telemundo. Since then, Trump has essentially declared war on Telemundo and Univision, the two largest Spanish speaking news networks in the country. He filed a $500 million lawsuit against Univision after the network dropped its coverage of Trump’s Miss USA and Miss Universe pageants. When Univision’s Jorge Ramos sent Trump a handwritten letter asking for an interview, Trump published the letter -- along with Ramos’ personal cellphone number -- and mocked the network for “begging” him for an interview. At a July 2015 press conference, Trump shouted down Díaz-Balart after being asked again about his immigration comments, calling the question a “typical case of the press with misinterpretation” and saying “Telemundo should be ashamed.” In August 2015, Trump infamously threw Jorge Ramos out of a press conference, telling Ramos to “go back to Univision.” His campaign went on to deny press credentials to an Univision correspondent in October 2015. The standoff has continued into 2016, with the Trump campaign denying the networks’ repeated requests for interviews and even taunting Ramos’ interview requests by soliciting him for a campaign donation. The lack of outreach to Spanish speakers goes beyond just interviews -- Politico noted that Trump’s “English-only campaign” has failed to create a Spanish-language version of Trump’s website or purchase any Spanish-language ads. Given how anti-immigrant extremism -- has come to define the GOP front runner’s campaign, it’s not surprising that Trump has avoided contact with Spanish-language news networks. But blacklisting Spanish news networks means not talking to a huge chunk of American voters and setting a troubling precedent for Republicans who want to avoid answering tough questions. In reporting on the moderators for the 2016 presidential debates, La Opinión pointed out that the selection for the “political show of the century” includes “zero Latinos” “despite immigrants and Mexicans in particular becoming a central theme of the campaign” and noted the ways a Latino moderator would have been “very positive” for both the Latino community and the debate. The September 7 article reported that “in the diverse panel of the five selected journalists there are women, an Asian[-American], an African-American … and zero Latinos” and highlighted the backlash this selection inspired among prominent Latinos in the media such as the president of Univision Randy Falco, who “sent a letter to the [Commission of Presidential Debates] indicating his ‘disappointment’ with the lack of Latinos.” The article highlighted Falco’s disapproval with the commission’s failure to take into account “demographic patterns and the important role that Latinos play in the economy and socially” and quoted others who underscored the significance of lifting up Latino journalists. There are some who say that it is not a relevant criterion in the selection of moderators for the important presidential debates, but the truth is that in the diverse panel of the five selected journalists there are women, an Asian, an African-American … and zero Latinos. Nonetheless, and despite immigrants and Mexicans in particular becoming a central theme of the campaign, mainly that of Republican [presidential nominee] Trump, none of the debates will be moderated by a journalist of Latino origin. By that calculation, there are two women, one African-American (Holt is part Jamaican), and one Asian[-American]. [There are] [z]ero Latinos or Mexican blood or from any other place in Latin America. 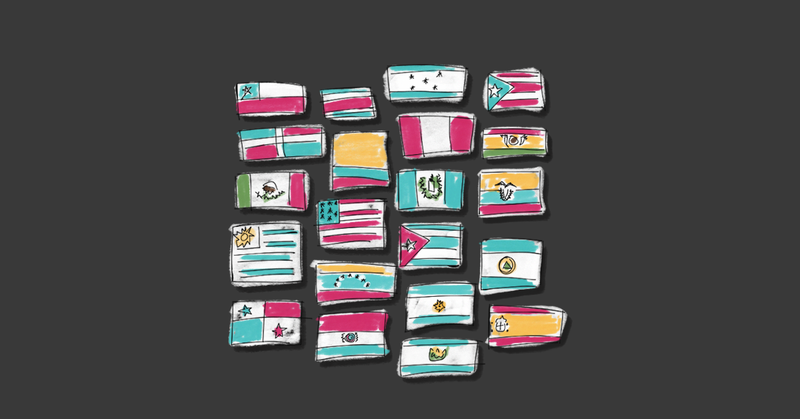 During the multiple debates that took place in the primaries, there were few Latinos asking questions, like José Diaz Balart, who represented Telemundo in its sister channel NBC’s debate and a debate organized by a Spanish-language network, Univision, of the democratic candidates, but not of Republicans. [Jorge] Ramos, of Univision, recently said that there are many Latino journalists on television that could have done the honors besides him, including his colleague María Elena Salinas, Díaz Balart, of Telemundo, Tom Llamas y Cecilia Vega of ABC or María Hinojosa of NPR. CNN Contributor Ana Navarro Skeptical Of Trump's Alleged Immigration Reversal: "Too Late"